In February, our team of 18 had the privilege of serving Miguelange by painting her new home and helping her move in. Thanks to the generosity of Hope Rising donors, Miguelange and her six children have a much safer place to live. Unfortunately, in the past, she had been robbed and taken advantage of. 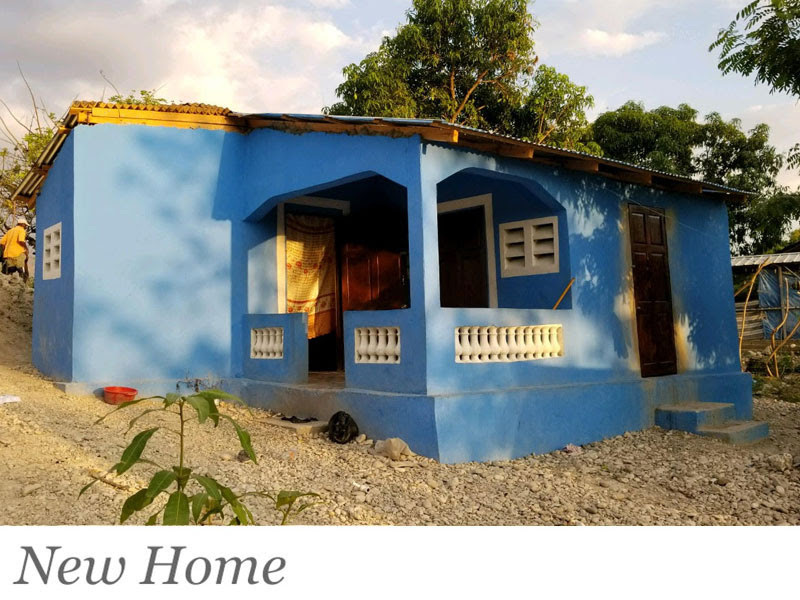 We are hoping and praying this new home will protect Miguelange and her family, as well as provide them with hope and dignity. 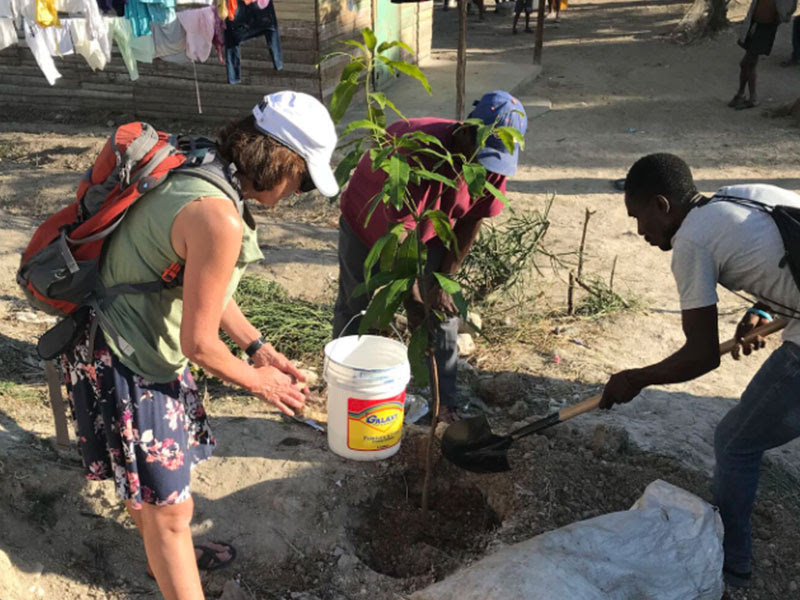 Our team had the opportunity to plant fruit trees around her house to provide both shade and food for many future years. We traveled to the market to purchase a kitchen table and chairs and mattresses for the bedrooms. We also purchased beans and rice, as well as a chicken for protein. 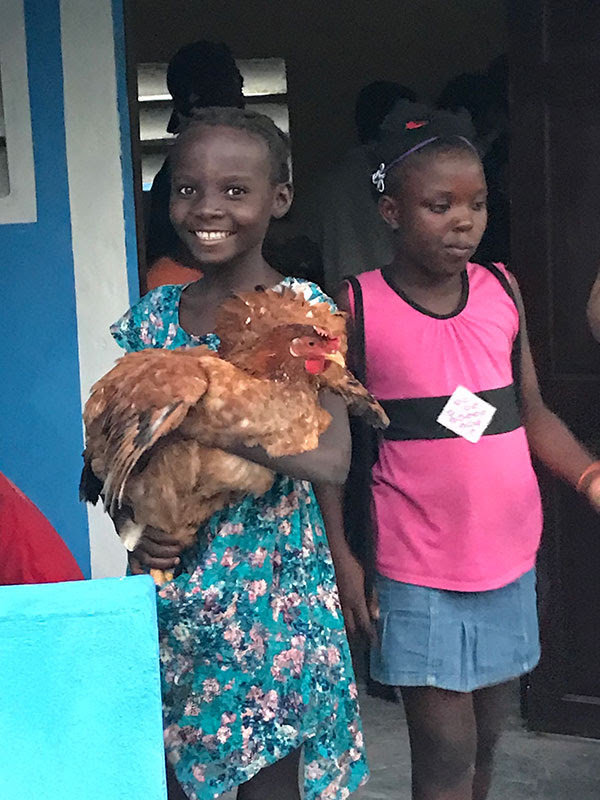 As you can see from the photo – Kimberly is quite happy about having her own chicken! Miguelange’s oldest son, Peter recently moved into All God’s Children’s Orphanage. 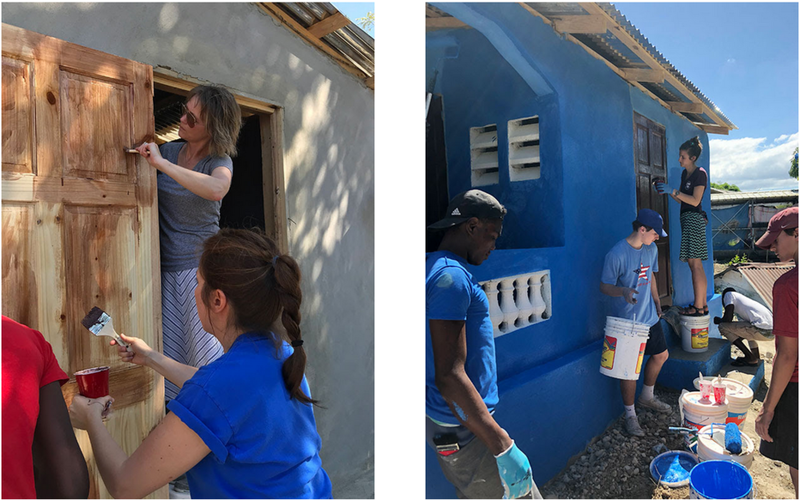 We are extremely proud of Peter and the leadership and love he has shown to help coordinate and arrange the construction of this new home for his family. It is encouraging to watch Peter grow into a responsible young man – something Haiti certainly needs. Please join us in continuing to pray for Miguelange and her family and thank you for your steadfast partnership!